Extremely durable for everyday wear and tear. 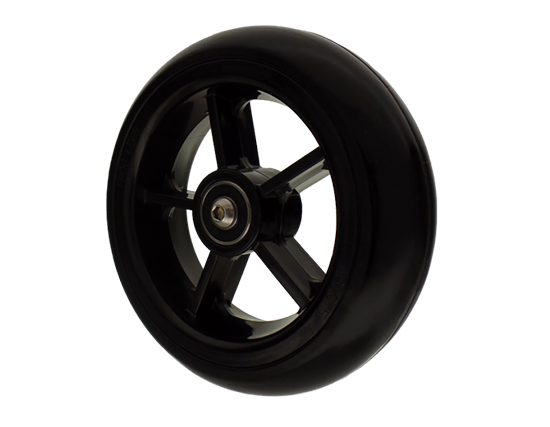 Firm-roll wheels feature little rolling resistance for easier pushing. In 1994 Frog Legs' founder Mark Chelgren befriended members of a quadriplegic rugby team. Having come from a technology progressive, crank head bicycle environment he began working with the athletes. He built a suspension system to prevent muscle spasms, back pain and other injuries that come from a rough ride or being pitched from your chair to the pavement.